A dear aunt of mine introduced me to Shin Kushiya when it opened not long ago, I have frequented this Japanese restaurant quite a bit since then and till now, it has remained as one of my definite favourites. 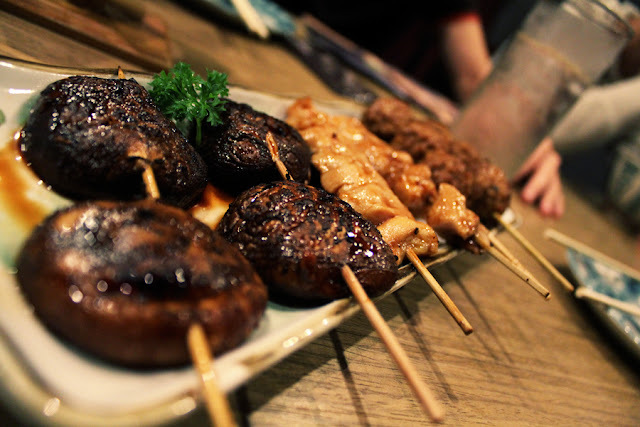 Shin Kushiya is well-known for their authentic Kushiyaki, or skewers grilled with Bincho charcoal (aka King of White Charcoal) imported from Japan. One can truly taste the quality of the fresh ingredients used and the distinct smoky flavour. Paired with their homemade tare sauce, Kushiyaki is definitely a must-try. Perfect for quite bites before main course and sharing. 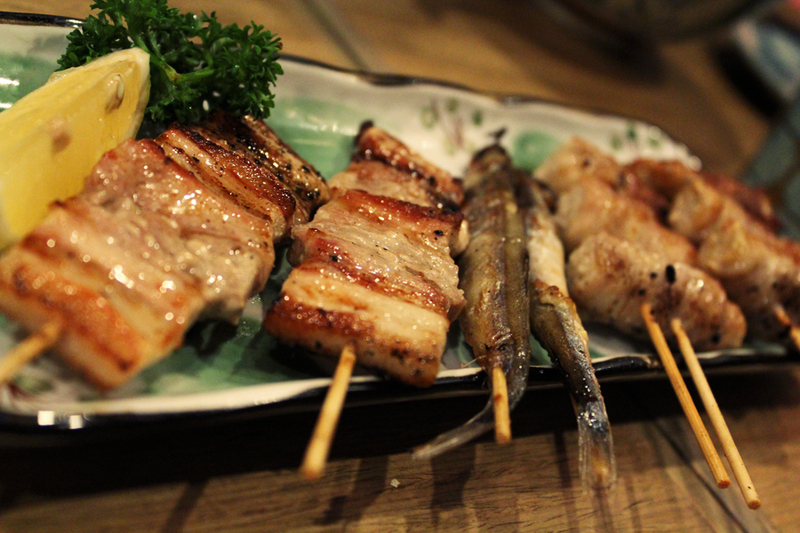 Prices ranged from S$2.00 onwards per skewer. Still craving for more small bites before your main? 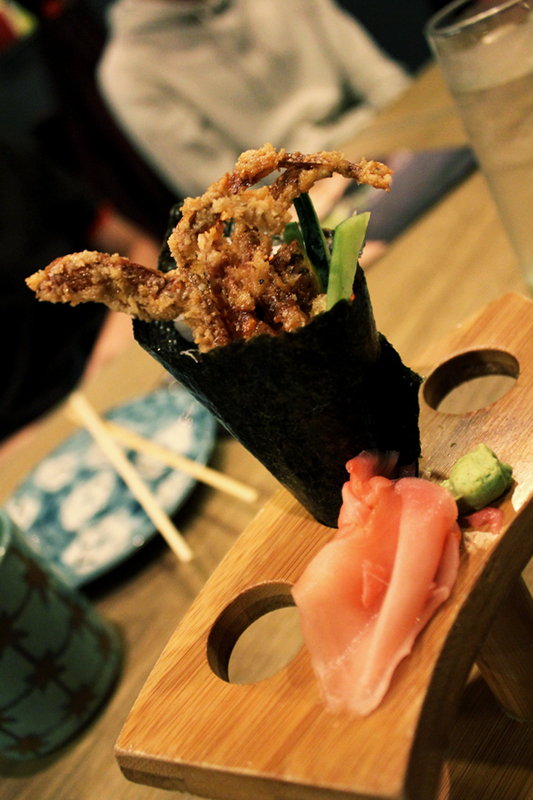 Why not try out their softshell crab temaki (S$3.40) or a plate of crispy, tasty whole crab for sharing? We ordered the Sanshoku Don (S$17.80), a delicious combination of fresh salmon, maguro and kaki on top of a bed of soft Japanese rice. Ever heard of sashimi melting in your mouth? This is it. Sanshoku (三色) actually means toppings with three different colours. 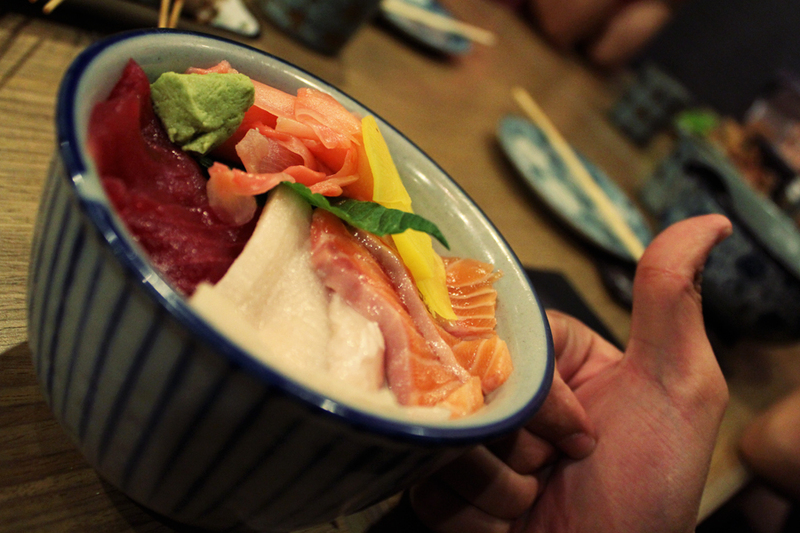 They are not only limited to sashimi, but also to other ingredients (i.e. dango, eggs, vegetables) as well. Their Pork Cutlet (S$16.80) is crispy on the outside and tender inside. 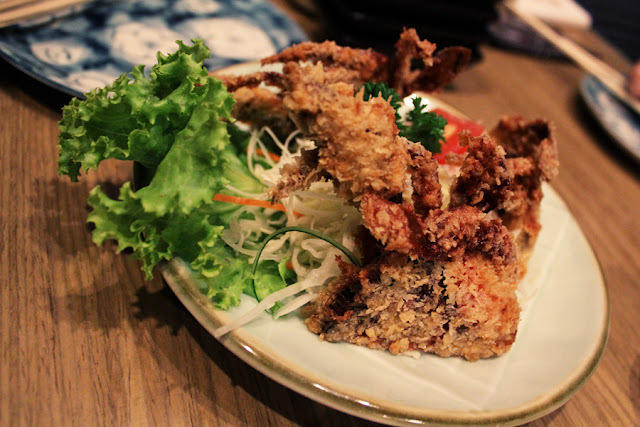 Dipped in their spicy tare sauce and paired with the crunchy fresh salad, I bet you'll be begging for seconds. 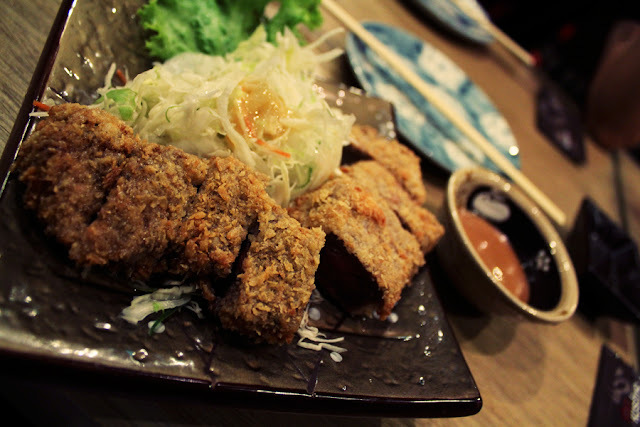 Good and authentic Japanese food, without burning your wallet. Shin Kushiya is the place to head to.